Whether its time to project school girl coy, Victorian prim, Saloon bawdy, monastic spartan, or glam vixen, the eclectic array provides an option for all. The LBD is an iconic staple which can be a pragmatic canvas to take one through varied occasions. Work, night out on the town, cocktail affair, and most importantly, TRAVEL! Add a scarf, a bauble (or 5), a detachable collar (cue Valentino) or a bow, and you have a Chameleon which will prepare one for any city sojourn, and which won't usurp too much room in your carry on. The accoutrements and shoes (stiletto versus ballet flat versus shoe booty) will determine the ultimate vibe of the frock. Look for these selections come FALL! The off the shoulder look is apparently IN these days. A little Victorian, a little goth. This happens to be one of my favorites----not much epidermis is up for scrutiny so this gets high marks for decorum. Ok, its a bit severe, but the voluminous sleeves add a bit of sizzle. I'd probably nip in the waist just a smidgen. Calls for some big bold audacious jewelry. No fuss, no muss, and could double as a tunic over skinny jeans. When traveling, the jazz hand element can be irksome, what with sequins and things popping off as you're getting in and out of trains, planes, and automobiles. Save that stuff for the Opera. 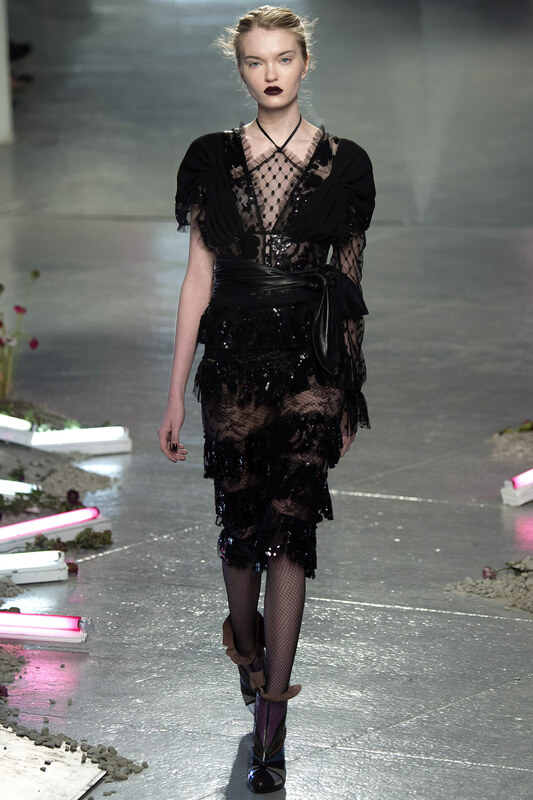 This is quite pared down and demure for Blumarine which is why I like it. Despite being covered from stem to stern, allure comes by way of the fitted silhouette. Wear with flats or boots. 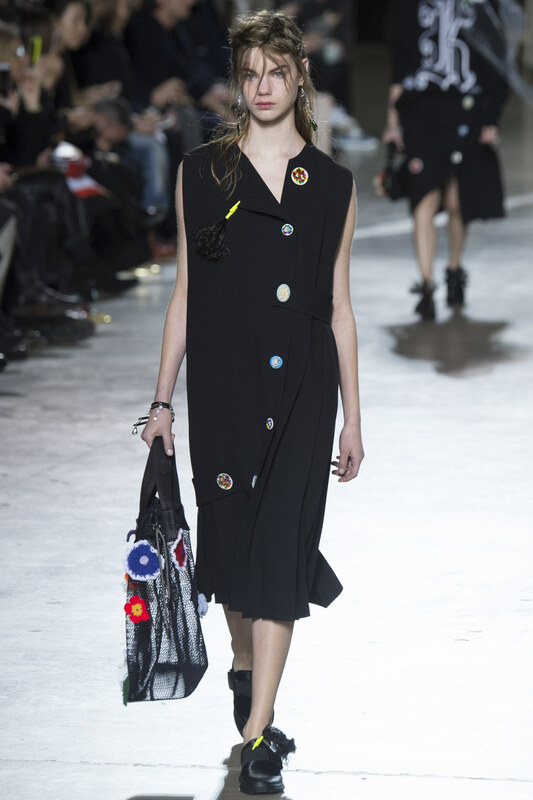 Who says you can't spice up a LBD with a smattering of multicolored buttons? This would look smashing paired with a puffy sleeved shirt. DON'T ANYONE TALK TO ME BEFORE I'VE HAD MY COFFEE!!!!!!!!!!! (Hannibal Lecter helmet optional). 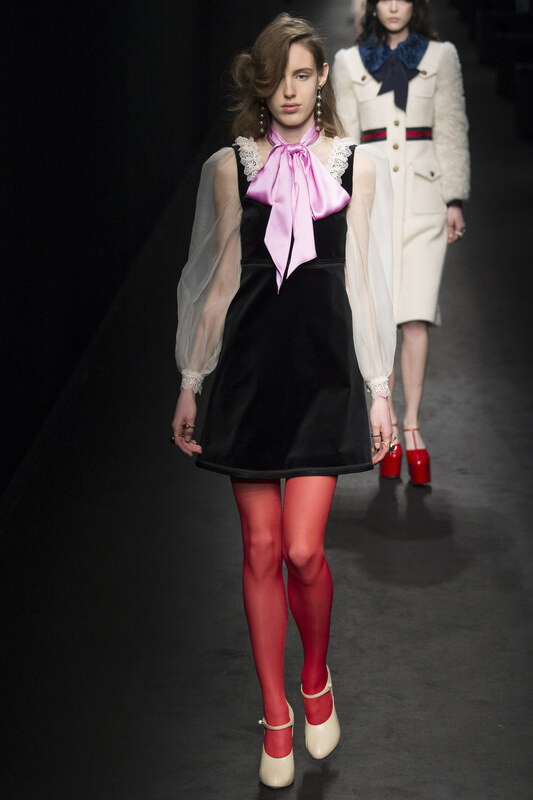 And from vintage Gareth Pugh edgy avant-garde we segue to joyous school girl charming. PINK bow optional. Perfect cocktail frock, with an easy silhouette and low level jazz hand activity. 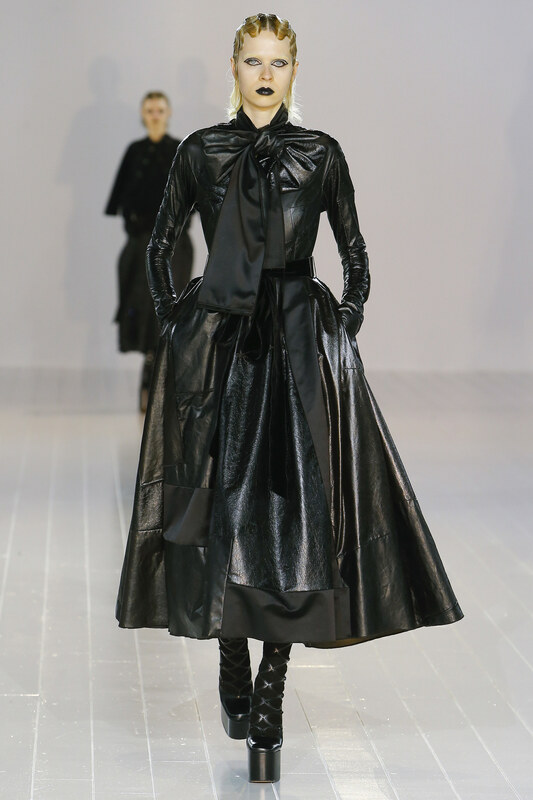 Ok, this might be a bit of a stretch for LBD, however, MIDIs are IN, and after all it is MARC JACOBS who delivered the most spectacular runway show for NYFW.